How can we help you immigrate to Canada through choosing program? In addition to Canada’s investment and business practices, if you are looking for a quick way to get your new residency or passport, contact us. Many countries give you residence or citizenship If you investment in (property purchase, bonds, …). There are over 60 different programs to immigrate to Canada. Contact us to assess your eligibility for appropriate program. To see our latest news and ITC services, Plese Join us. Saint Lucia’s Citizenship by Investment Program was established in 2015, making it the most recent addition to the CIP programs in the Caribbean region. This program will allow qualified investors and their family members to apply for citizenship and benefit from facilitation of visa-free travel to over 100 countries including Schengen zone and UK. Make an investment of €350,000 in Real Estate in Portugal and receive residency in just 2 months which leads to a Portuguese passport after 6 years. You will also receive 4% annual return on your investment. Antigua and Barbuda: The best and fastest passport! Invest in this Caribbean country and receive a passport in just 3-4 months that allows free travel for you and your family (including your parents) to Canada, Europe and many countries around the world. 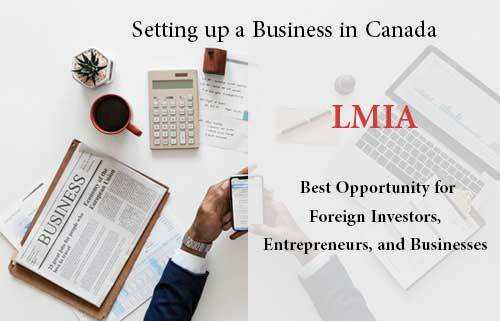 The Quebec Immigrant Investor Program, one of the most popular immigrant investor programs in the world is accepting new applications this year for the last time and the cap is limited. This program is one of the cheapest and fastest programs for entrepreneurs wishing to immigrate to Canada. Business Investor Streamallows Manitoba to recruit and nominate qualified business investors and entrepreneurs from around the world Applicants will no longer be required to submit a deposit of $100,000 to the Manitoba government. Use our special service package to use the new Express Entry system and get results. Simple and Easy and best of all with no risk. There are more opportunities in Canada to study under a Canadian Study Permit. You can apply for student visa from elementary school to college or university. You can apply for your children as an international student to study in Canada from elementary school to high school. More than 100 universities and colleges in Canada are ready to apply for applicants to continue their education.